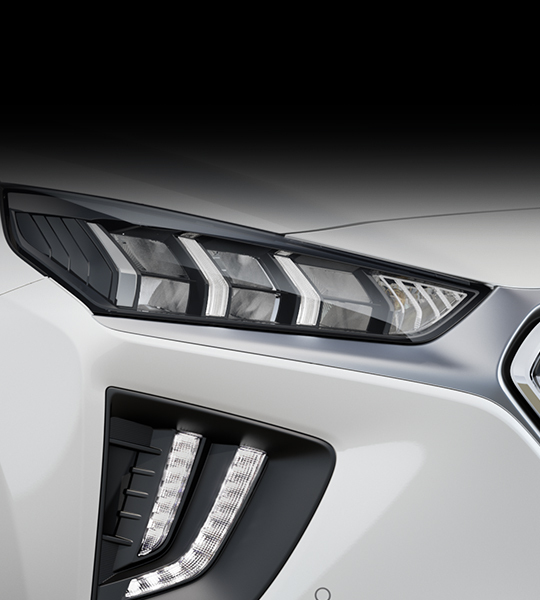 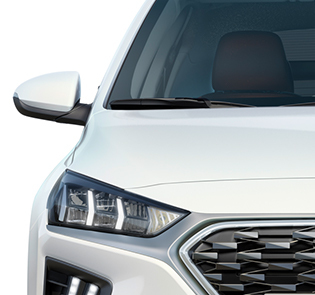 HID Bi-Xenon headlights IONIQ Hybrid offers two headlight technologies: halogen on SE models, with powerful HID Bi-Xenon headlights, framed by the dynamic C-shape of the LED positioning lights - available on Premium and Premium SE. 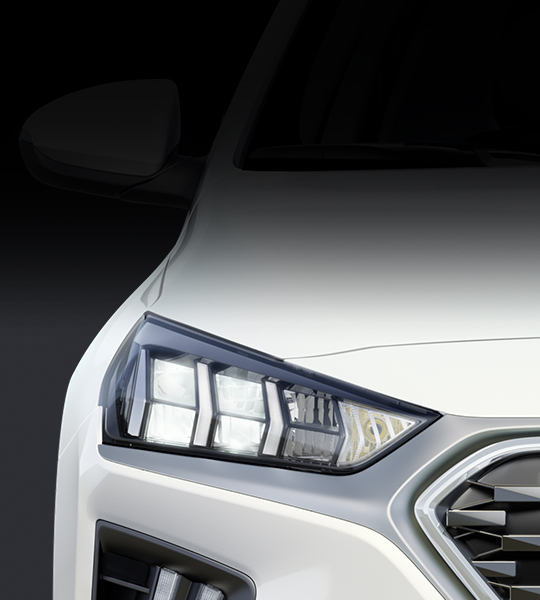 Radiator grille Dynamically styled headlights are integrated into the grille. 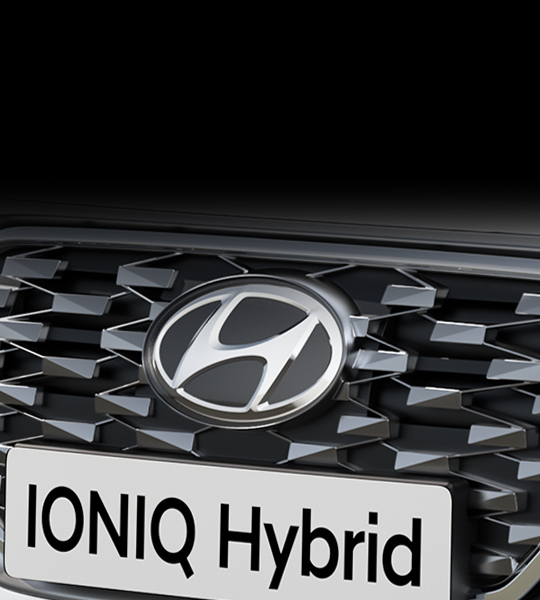 Concealed within the black high gloss grille is the smart cruise control radar sensor and the IONIQ Hybrid’s active air-flaps.  These automatically open or close to reduce aerodynamic drag which regulates the cooling system and enhances aerodynamics at speed. 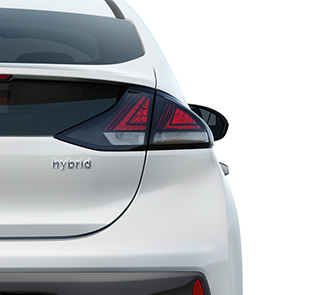 The blue signature accent bar identifies the hybrid model. 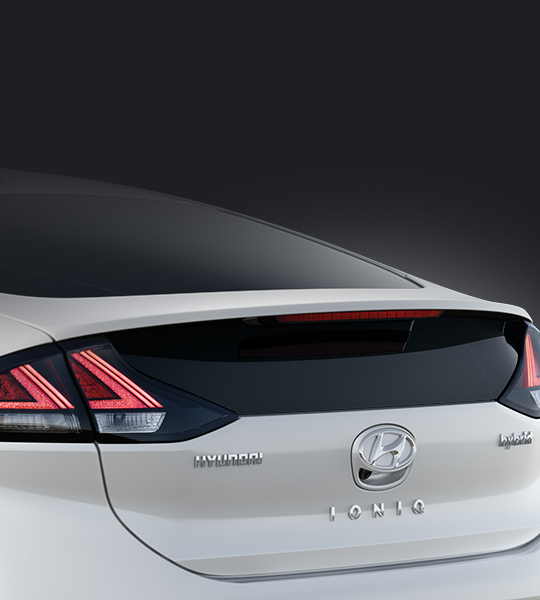 Streamlined details Slim contoured door mirrors aid airflow and minimize wind noise. 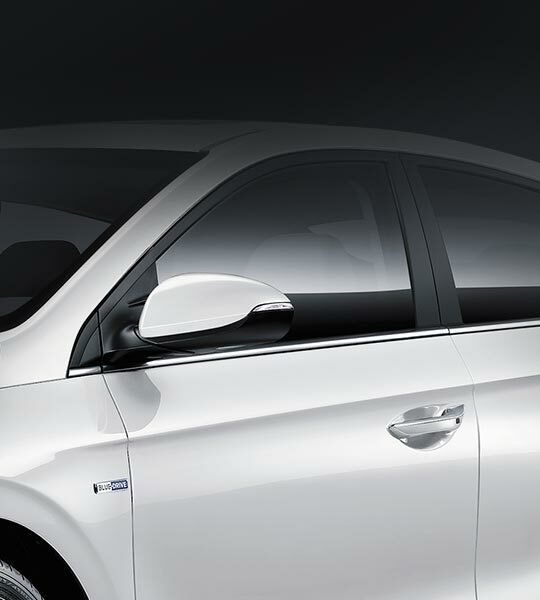 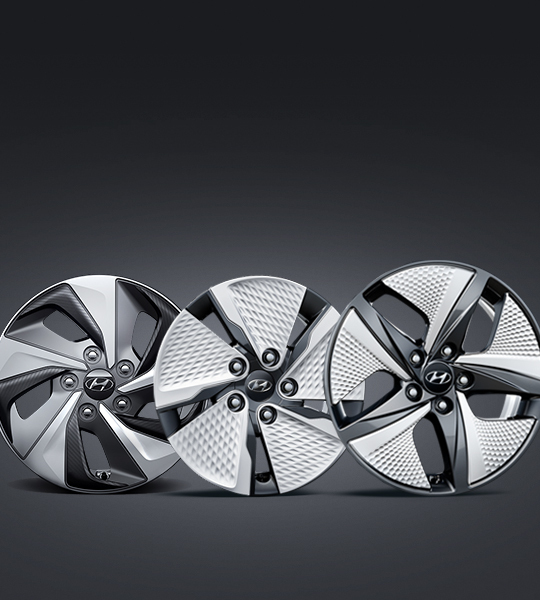 Premium and Premium SE models also offer sleek chrome door handles to add a premium touch. 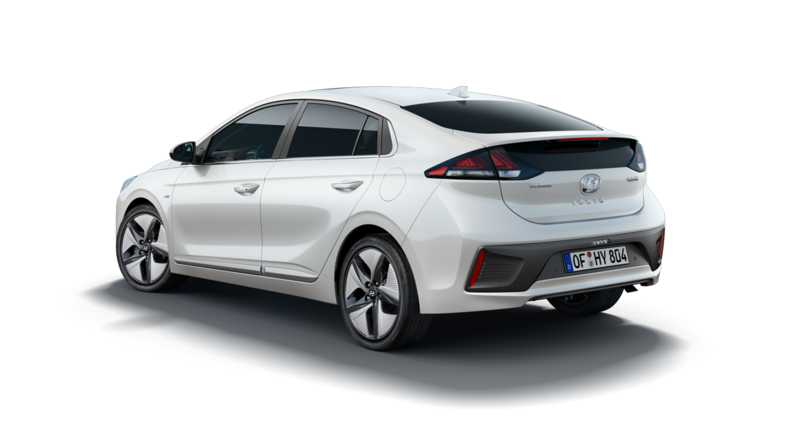 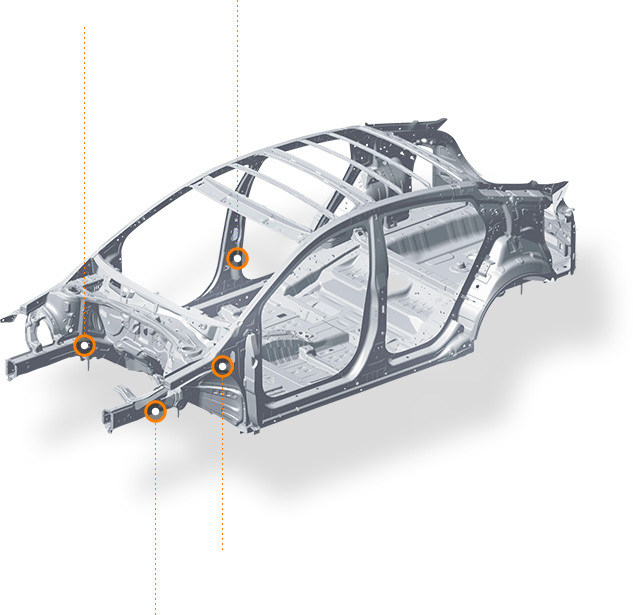 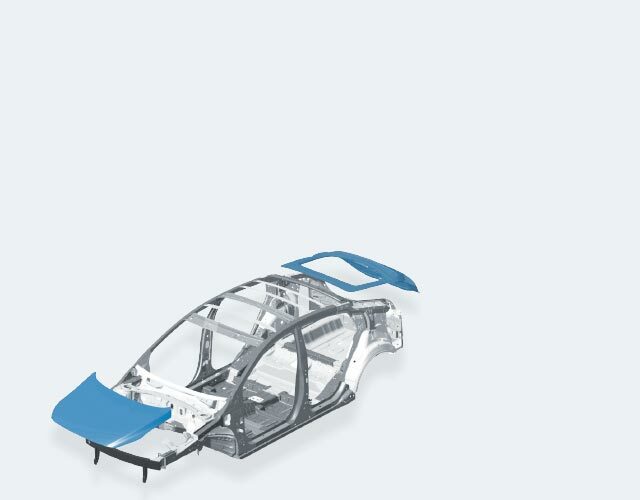 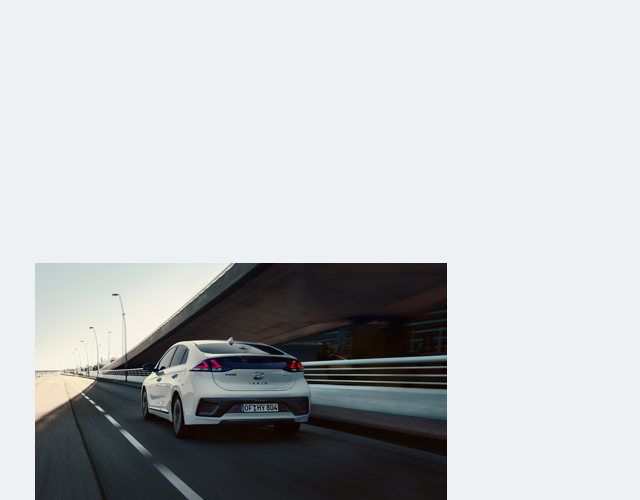 Integrated rear spoiler The IONIQ’s diffuser and rear spoiler generates downforce for more optimised handling at higher speeds, while minimising the effect of drag. 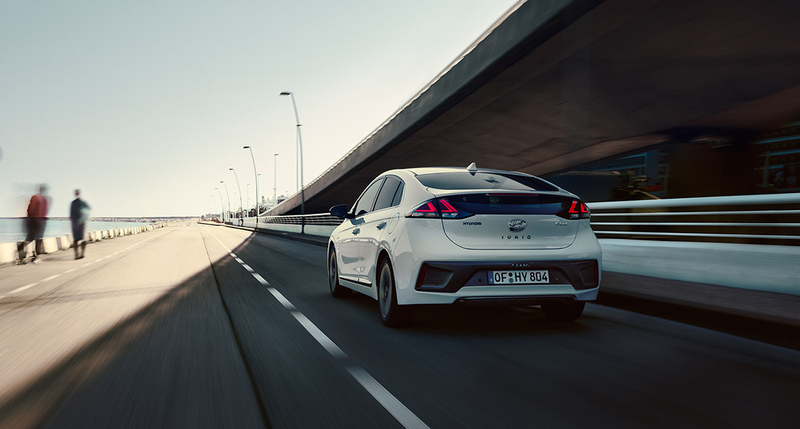 Bumper designs & blue signature accent The rear aspect of IONIQ is dominated by strong horizontal elements that emphasise its wide-track, sporty stance. 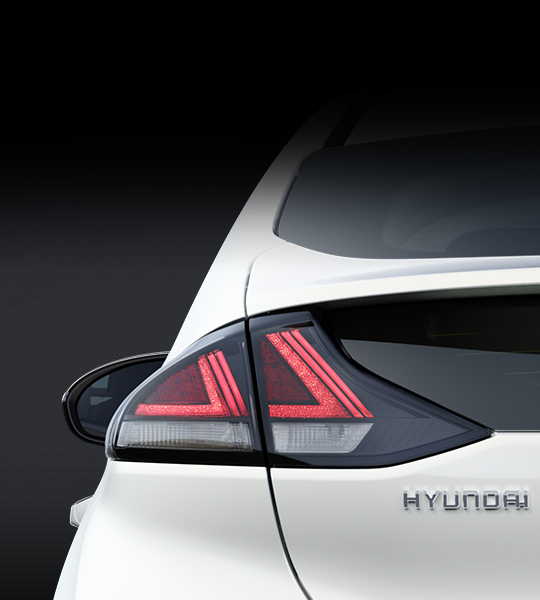 Rear combination lights Conventional bulb rear lights provide a clear signal of intentions to following drivers. 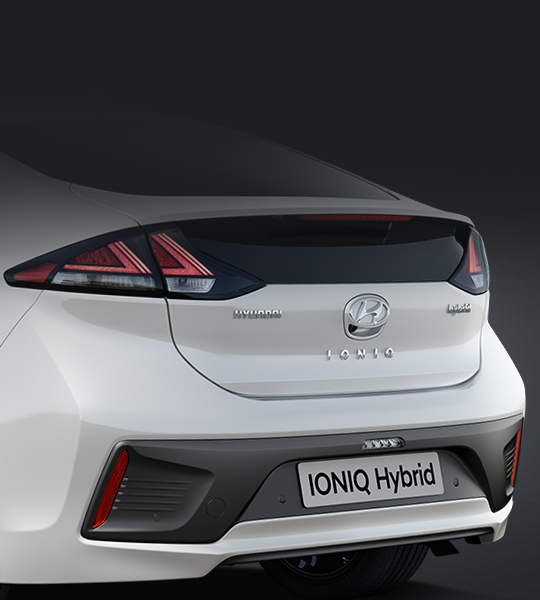 LED rear lights on Premium and Premium SE are brighter, use less energy and reinforce the design integrity of the IONIQ Hybrid. 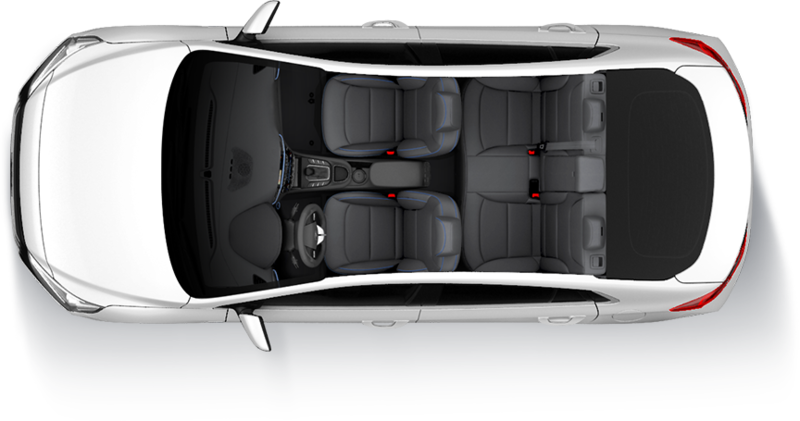 while Premium and Premium SE offer grey leather seat facings. 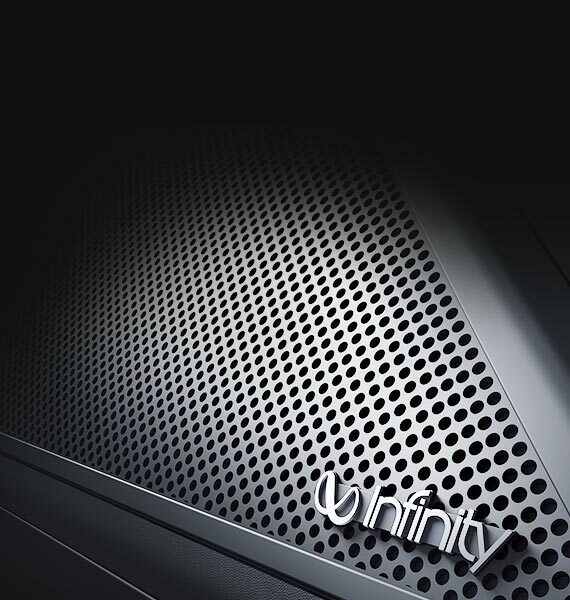 Available on Premium and Premium SE models, this high definition audio system delivers high-quality surround sound through no less than eight speakers, a subwoofer and external amplifier. 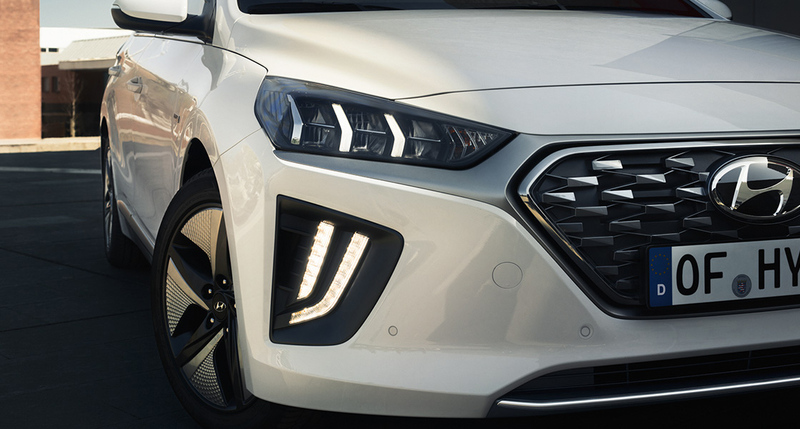 At the heart of the IONIQ’s driver-centric design, the D-Cut Steering Wheel with chrome-accented spokes helps to convey a dynamic sporty image that defies the convention of hybrid vehicles. 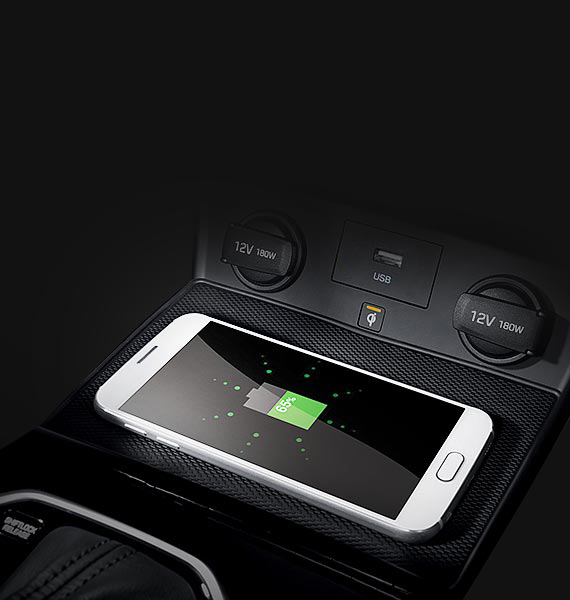 Compatible smartphones can be charged wirelessly via the integrated charge pad on Premium and Premium SE models. 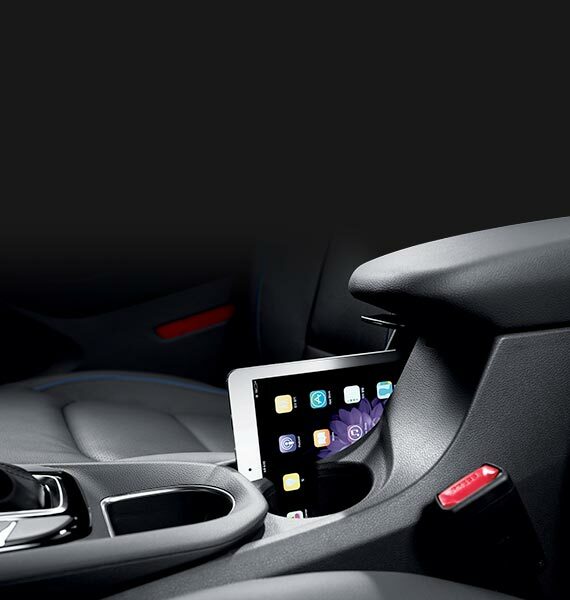 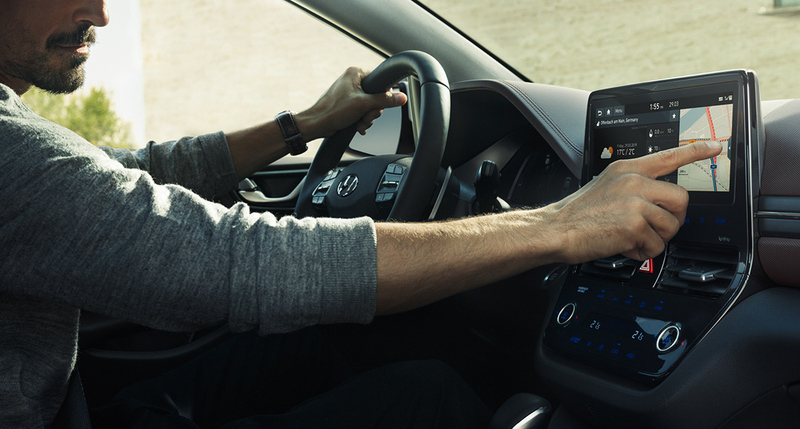 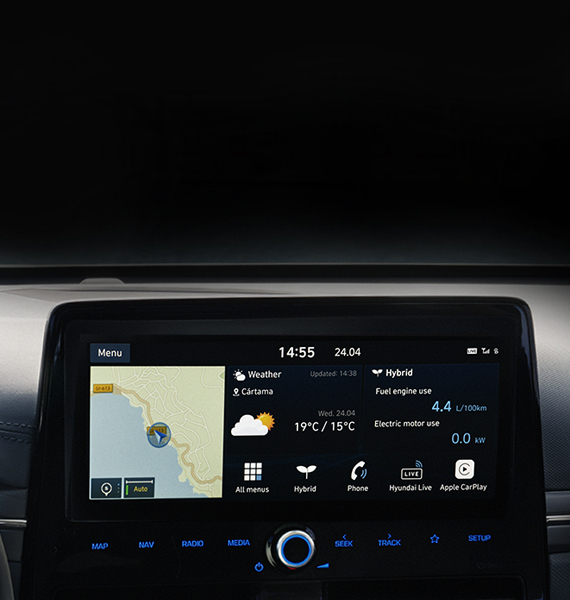 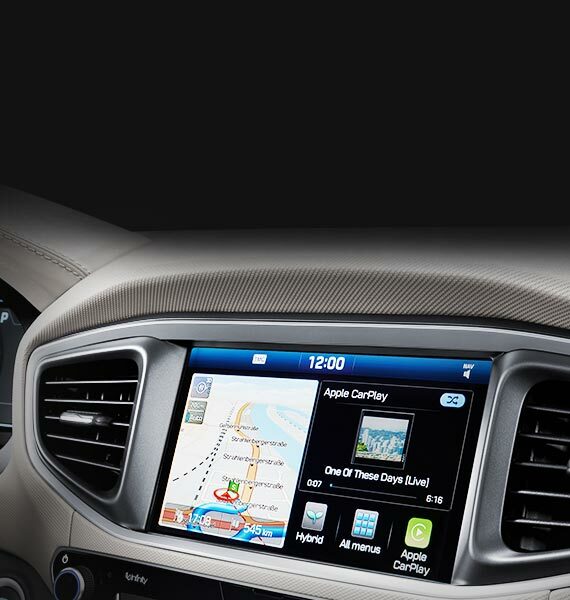 Apple CarPlayTM and AndroidTM Auto are incorporated into the navigation system of the IONIQ giving you the freedom to use selected apps on compatible Android and Apple phones, and creating a seamless transition between life in and out of your car. 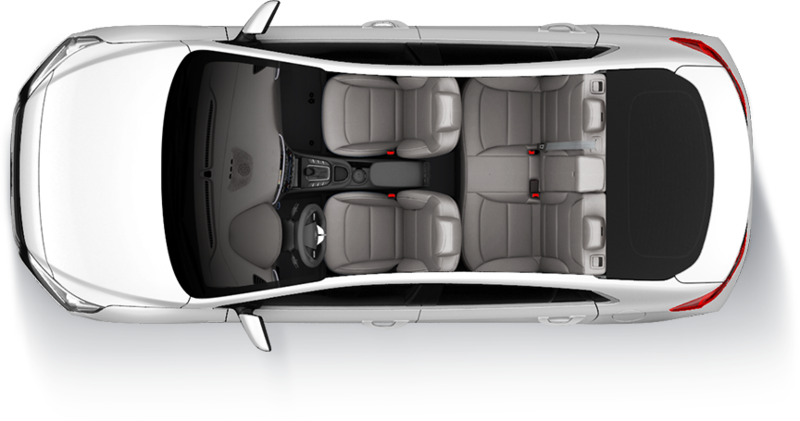 **Available on Premium and Premium SE models. 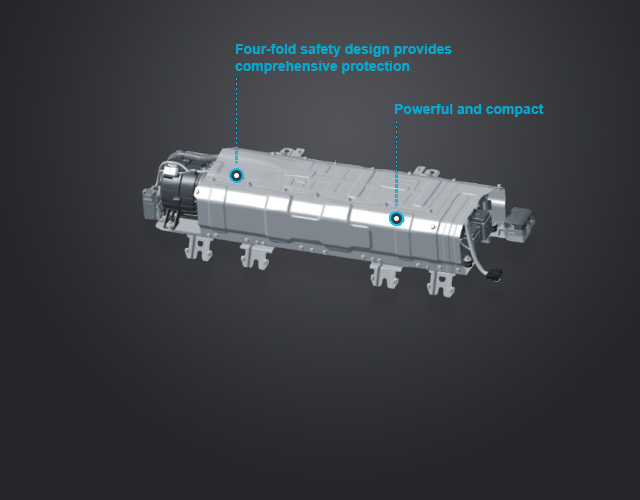 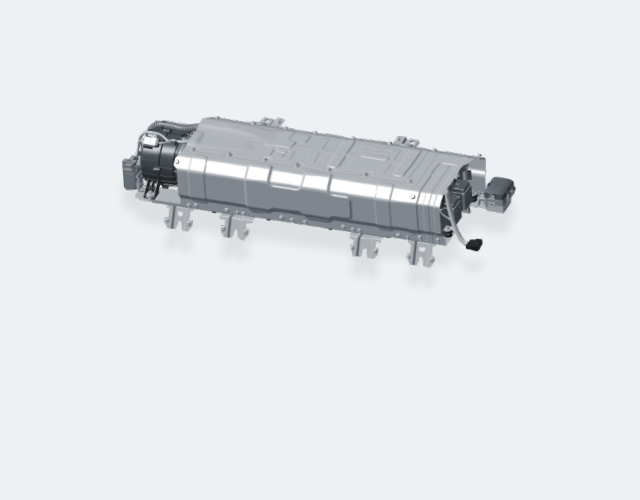 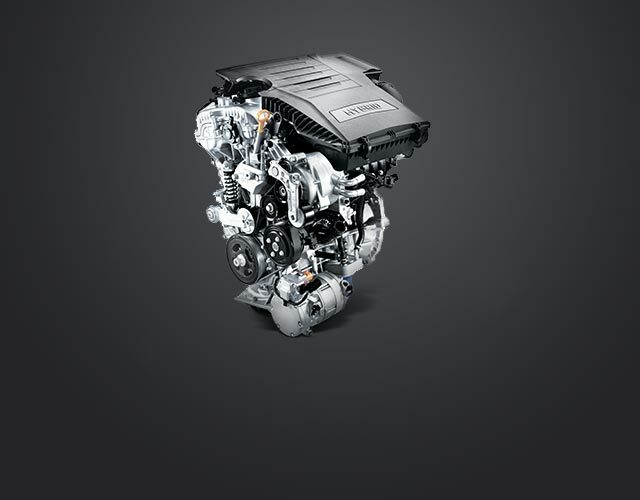  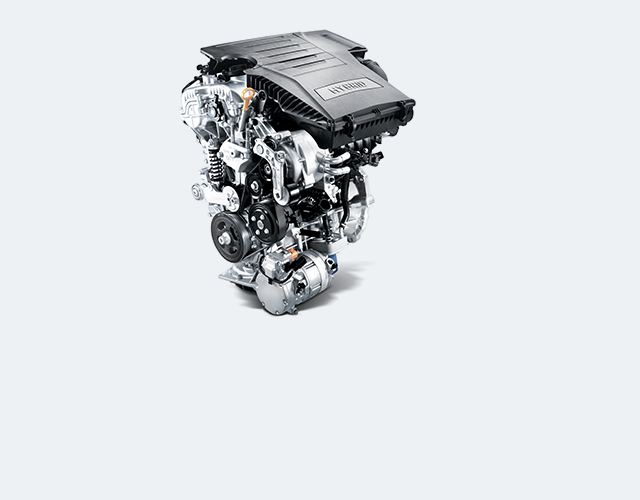 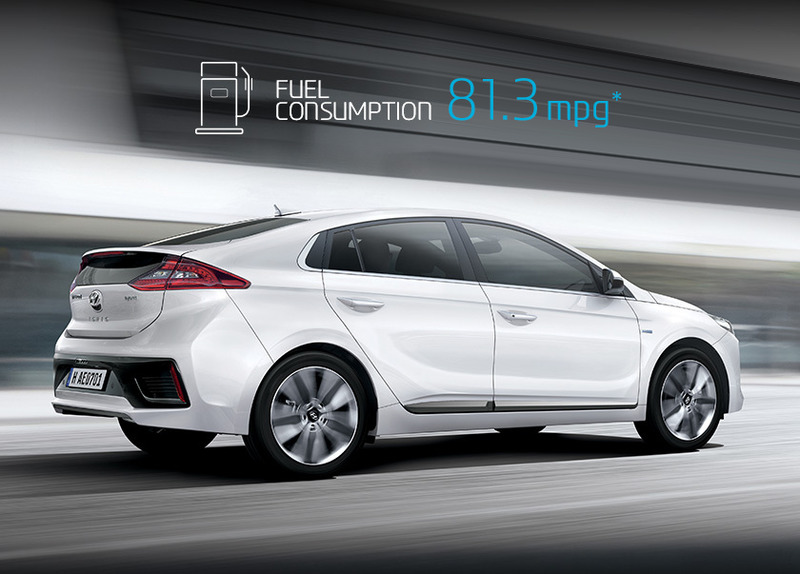 delivers 105 PS with leading energy efficiency. 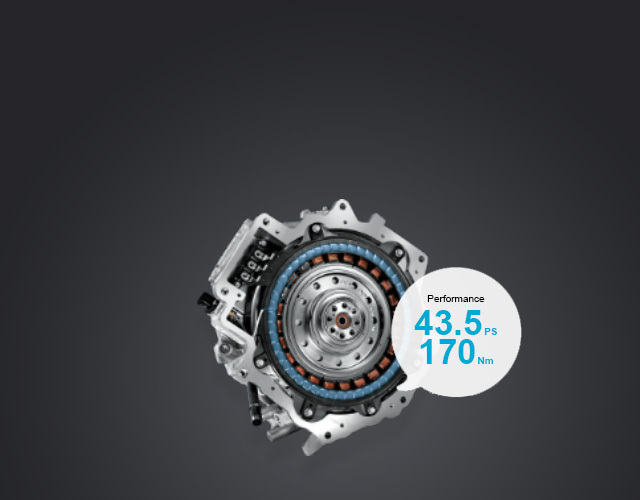 add extra power at higher road speeds. 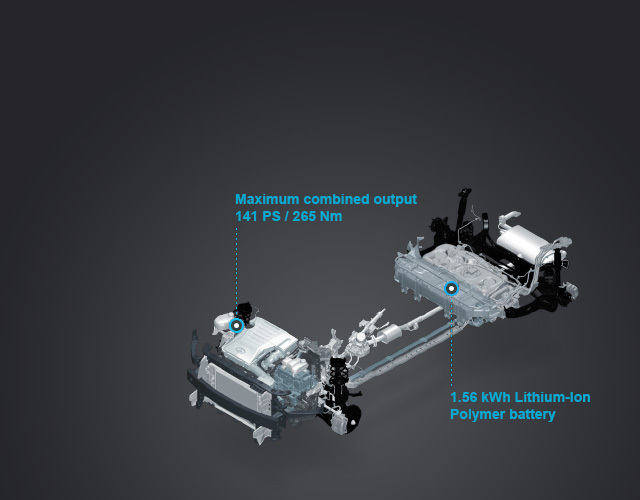 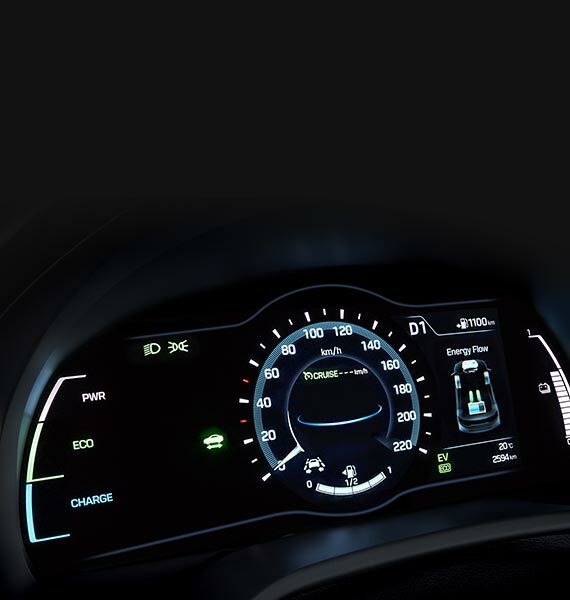 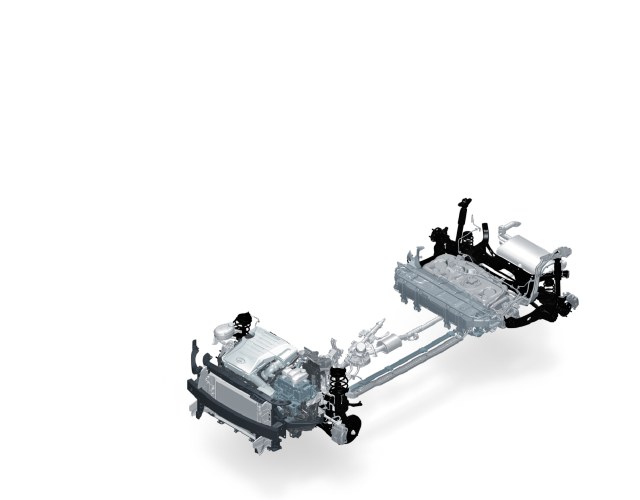 characteristics, maximizing both electric driving and energy regeneration. 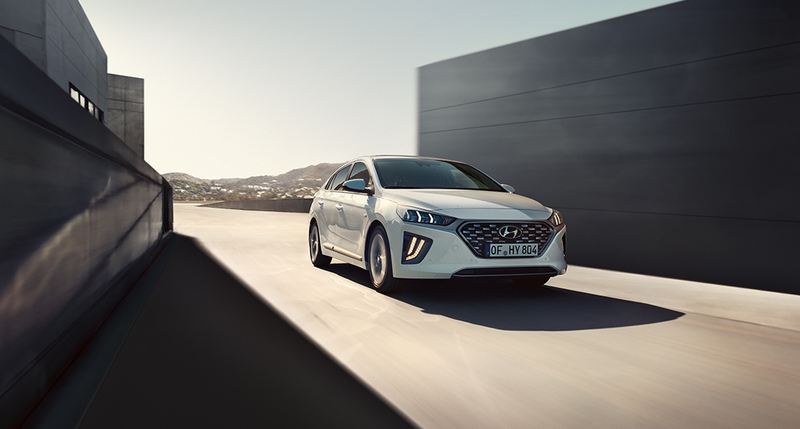 * IONIQ Hybrid 15” alloy wheels, combined cycle may not reflect all driving results. 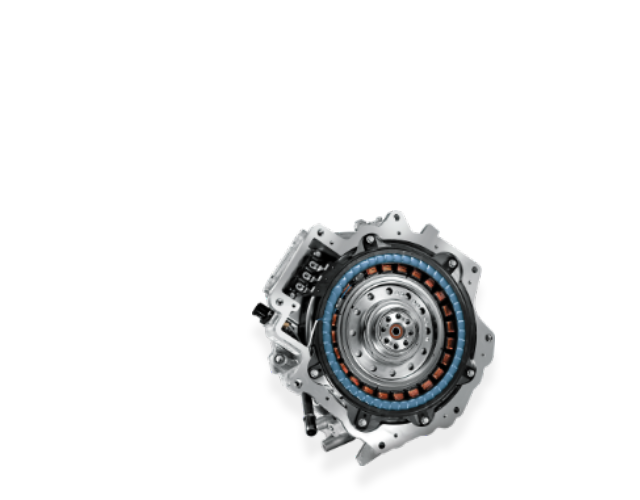 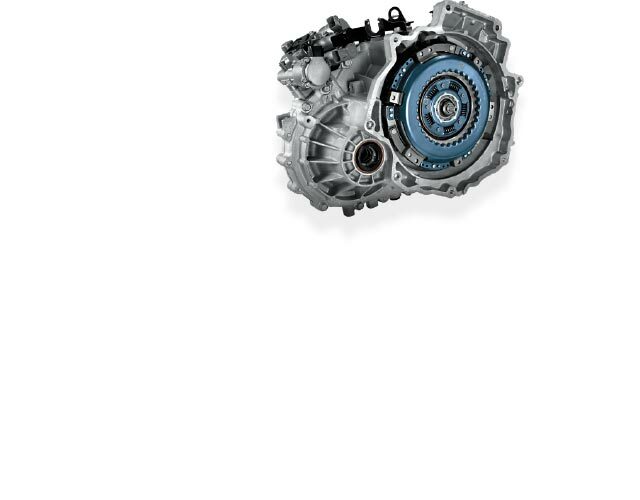 a 6-speed DCT that delivers smooth and responsive gear shifting. 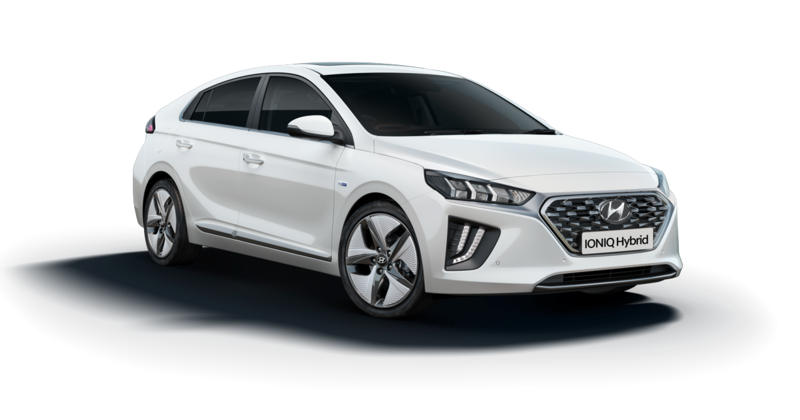 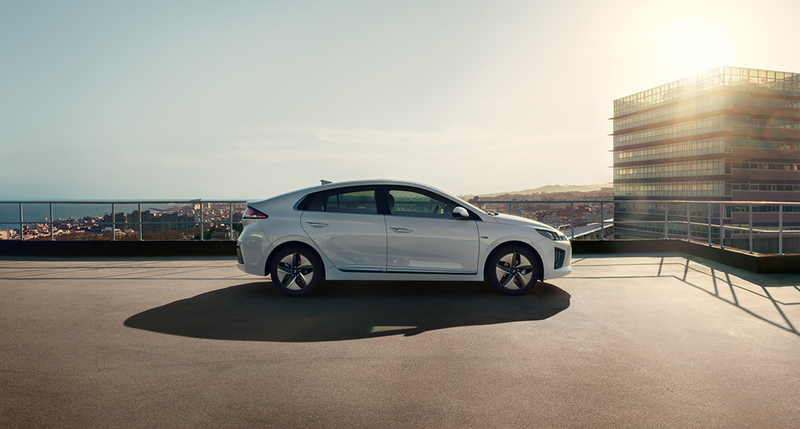 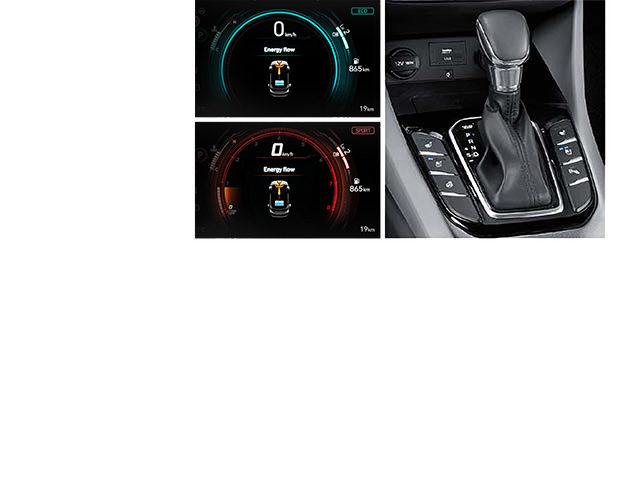 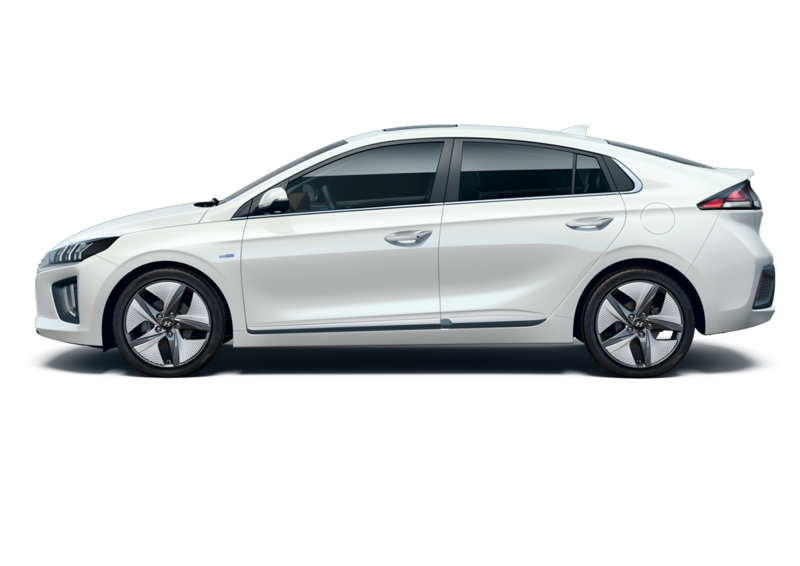 strategy allows the IONIQ to efficiently and quickly pick the optimum gear. 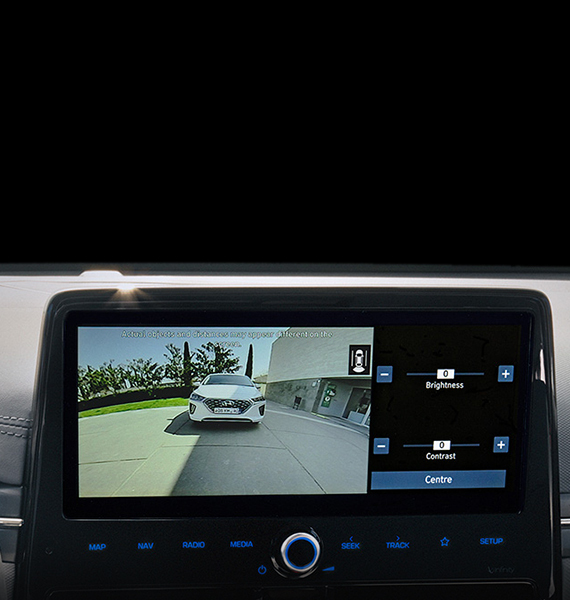 see blind spot that can’t be easily viewed using the rear view mirror or wing mirrors. 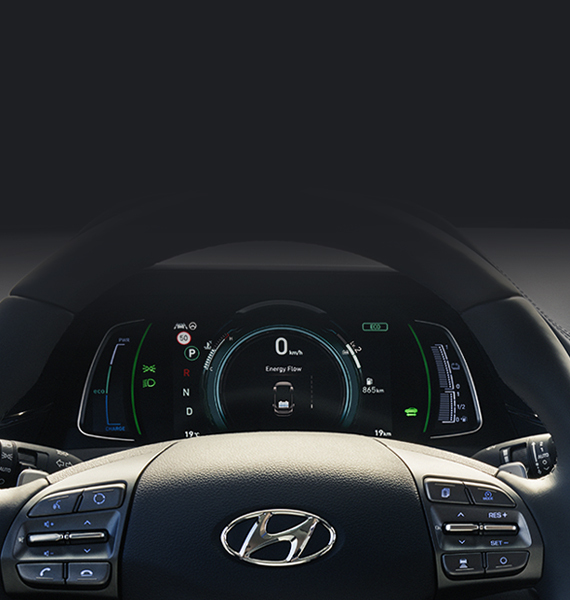 It informs drivers with a graphic in the wing mirror. 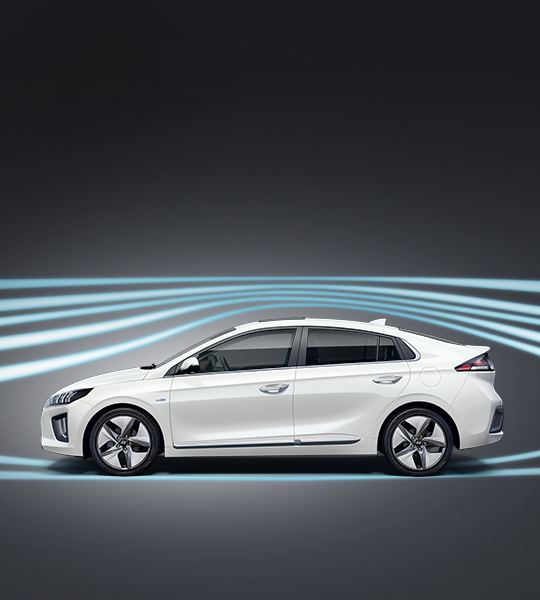 applying the brakes when needed.